Hobbs & Porter supply bespoke stainless steel veterinary operating tables throughout the UK. 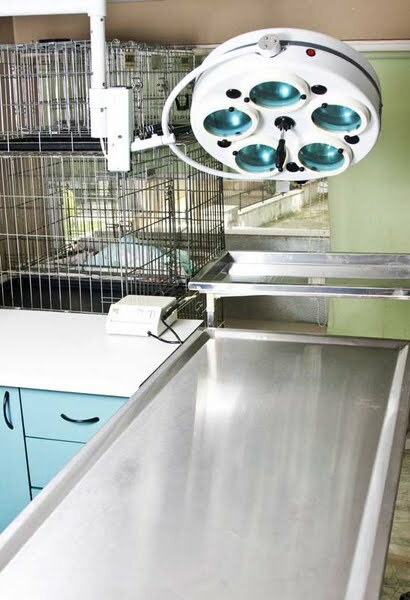 Veterinary operating table in stainless steel in veterinary surgery situated in north London. Animal cages also available as pictured.